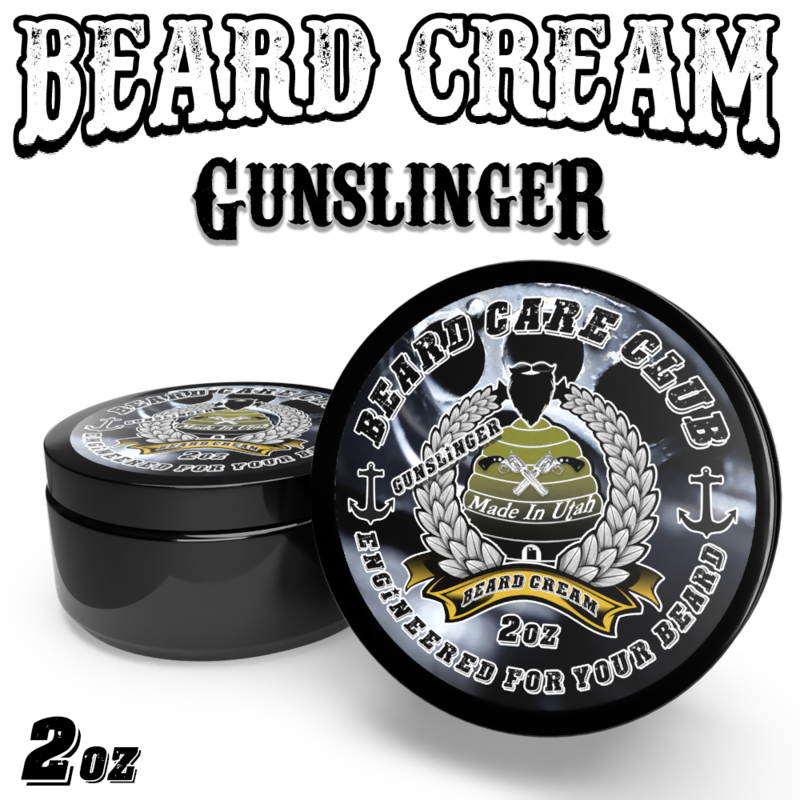 Our Gunslinger Beard Cream contains all natural ingredients to help condition and moisturize your beard as well as promote beard growth. Beard Creams also help keep the skin under your beard free of "beardruff", A.K.A beard dandruff, while leaving it itch free, soft, and manageable. This scent will make you feel like you're a cowboy from the Wild West. But hell no you ain't that dirty cowboy that's been working on the range all day. Nope, you're the cowboy that every man wants to be, and every woman wants to be with. Sitting in the saloon, sippin' some whiskey after riding in on your horse with your trusty six shooters by your side. The smell of cedar, spices, musk and sandalwood, along with the light notes of leather in Gunslinger will take you back to a time where there were lawmen and there were outlaws. Which one are you?